After a diversified law practice over a 30-year period, Commissioner Drewry served on the Superior Court for 10 years. During his tenure on the bench, Commissioner Drewry handled family law-related matters, as well as civil and juvenile delinquency matters. He also presided over settlement conferences. In his most recent assignment, which began in 2009 in the Child Support Division of the Family Law Department, Commissioner Drewry handled a high volume of cases on a regular basis and was praised by attorneys for his ability to find solutions to difficult and often acrimonious disputes. In this assignment, he was highly regarded for his equanimity and patience, and respected for his skillful handling of the sensitive, volatile issues that arise in dispute resolution. Commissioner Drewry was recognized as a Daily Journal California Neutral for 2015. Commissioner Drewry’s experience as a civil litigator includes handling a wide variety of disputes including public entity liability, business/commercial, personal injury, product liability, professional liability, inverse condemnation, insurance issues, homeowner association disputes, land use, construction defects, employment issues, habitability and premises liability. He served as staff counsel for five years with the firm of Munger, Tolles & Olson, where his responsibilities included providing litigation support in complex cases. Prior to that, he was an associate, then partner/shareholder at Richards, Watson & Gershon. At RWG, Drewry handled a wide variety of litigation matters from business/commercial disputes to landslide litigation, construction defects, professional liability, insurance issues, civil rights, and government tort liability. He ultimately focused on litigation for public entities. 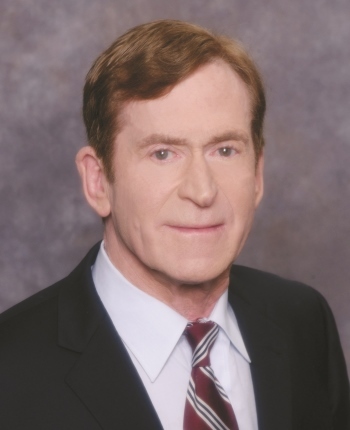 Commissioner Drewry began his law practice in 1972 with Shield and Smith, handling litigation for insureds, self-insureds and insurance carriers. Subject matter included bodily injury, property damage, and other torts such as defamation and professional negligence, as well as insurance coverage issues. Throughout his professional life, Commissioner Drewry has maintained a keen interest in alternative dispute resolution. He began as a volunteer arbitrator for the Superior Court in 1979, joined the Superior Court’s mediation panel in the early 1990’s, and was a member of the Superior Court’s Alternative Dispute Resolution Committee. As an attorney, he participated in hundreds of settlement conferences, arbitrations and mediations. Commissioner Drewry is available throughout California.